Summary: Elinor Hawthorne has in inherited a house that is haunted by the ghosts of two medieval knights, Basil Manneville and Guy Guiscard. Basil is the man of her dreams, her knight in shining armor. She falls in love with him and he with her. Basil soon realizes she needs to live a normal life, a happy life with a mortal. A man stood a few feet away. At least what was visible looked like a man. He appeared to be a knight, similar to the one in her favorite painting, except semi-transparent. He wore mail and a dark blue surcoat with a leopard embroidered on it in bronze silk. Tall, with shoulder length hair, in the soft lamplight, his eyes were as black as his hair. One of the best compliments a writer can get from a reader is: “I felt so close to the characters, I could hear their voices in my head,” or “I didn’t want the story to end.” When you’ve touched someone in that way with your words, you feel on top of the world. It makes all the rejection letters you received, all the hours spent struggling through a scene and the days where you can’t seem to string two sentences together worthwhile. As story tellers, we strive to take the reader on a journey with us, to let us transport them to a different world. 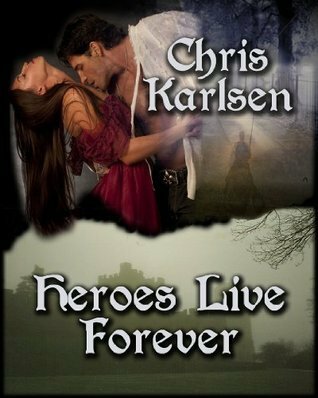 For me, my first novel, “Heroes Live Forever,” was a love story involving a mortal and a ghost. Does the reader have to believe in ghosts when they open the book to the first page? No. But as a writer, I would ask to let me weave this romance in a way that while you read those three-hundred plus pages, you start to believe. You want to believe. In “Heroes Live Forever,” there’s a scene that made me choke up a little when I wrote it. A long, well-established author friend read the scene. This was before I belonged to a critique group and I needed feedback. My friend smiled at me when she finished and said, “You made me cry and I never cry reading books.” That made my day. Later, I joined a critique group who read the entire manuscript. They loved the humorous scenes and character’s lines. And every smiley emoticon they added gave me another shot of encouragement. In the sequel, “Journey in Time,” the hero and heroine are caught in a time portal while horseback riding and sent back to the 14th century. Does the reader need to believe in time-travel? Again, no. Is time-travel possible? Well, no one has done it yet—that we know of. But who’s to say it isn’t going to be possible someday? Even if the reader doesn’t truly believe in time-travel, most have fun speculating whether they’d like to go back in time or forward in time. I get to elaborate on what might happen if they found themselves in England in the year 1355. I like to recreate the world through the senses. What the characters see, hear, smell, touch and taste becomes this different world for the reader. How the characters react makes you want to turn the page. Through the written word, I can put the question in the reader’s mind: What would I do? It’s great to take a question you’ve given the reader and then keep throwing in twists and turns. It’s not simply a matter of what would I do without: running water, electricity, modern medicine, the list goes on and on. The medieval period, as times are now, was fraught with dangers, made far worse through superstition and political intrigue. To be fair to the time and place, memorable characters and beautiful settings can color those twists and turns. “Remember what I told you,” he warned and trotted ahead to chat with a knight he called Simon. There’s a scene in “Journey in Time,” where Shakira is fighting off an attacker. 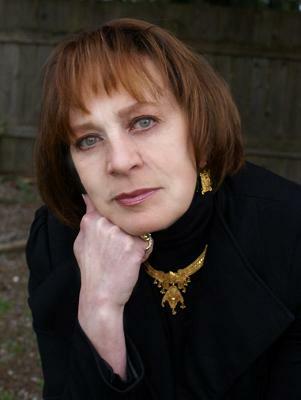 A reviewer for Romance Radio Network, Desmond Haas, told me when he got to that scene he didn’t want to read more (it’s a fairly graphic scene) “but couldn’t stop reading.” What wonderful words to hear for an author. I was able to transport at least one person that day to a world I created. As a story teller, what more can I ask? You can contact her via: Books to Go Now, P.O. Box 1283, Poulsbo, WA 98370, or on Facebook. I love the idea of time travel stories and romance that is not barred by a pesky thing like time. I love the "pesky thing like time," comment. I agree. I enjoyed giving my characters the good and bad of the medieval world but letting love prevail was what I enjoyed the most. I also love to hear from readers. You can contact me via my website: www.chriskarlsen.com or by email: chriskarlsenwriter@gmail.com. I want to thank Reader Girls for the opportunity to connect with their followers. I look forward to hearing from them. These are great reads- I've read both and can't wait for the third. Nice article, Chris.